The two bombs stand in stark contrast to our endless nation-building exercises in which nothing is ever finished until we give up. Instead Truman cut the Gordian Knot and avoided a long campaign that would have depopulated Japan and destroyed the lives of a generation of American soldiers. That we can talk about Japan as a victory, that the famous couple was caught kissing in Times Square rather than sighing in relief, is attributable to that decision to use the bomb. Without it, Japan would have been another Iraq or Vietnam, we might have eventually won at a terrible cost while destroying our willingness to fight any future wars and that would have given the USSR an early victory in Asia. More people died in the Battle of Okinawa on both sides than in Hiroshima and Nagasaki. 9 out of 10 buildings were destroyed. As much as a third of the island's population committed suicide, fled into caves that were bombed, were used as human shields or were killed when American soldiers found themselves unable to distinguish between Japanese soldiers posing as civilians and actual civilians. The United States military did not understand the fanatical mindset of its enemies, but it did understand that they had to be fought with equal ruthlessness. And now on another hot August, we find ourselves in another unwinnable war. It isn't really unwinnable, but there is the sense that we have done everything possible and all we can do is live with it. As the left will tell us, more Americans died in car accidents in 2001 than on September 11. 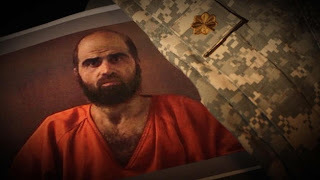 The spectacle of Nidal Hasan trying to communicate to a politically correct military bureaucracy that he really is a Muslim terrorist is almost comical. Before the shootings, he expressed sympathy for terrorists and put his Islamic holy warrior tag on his business cards. 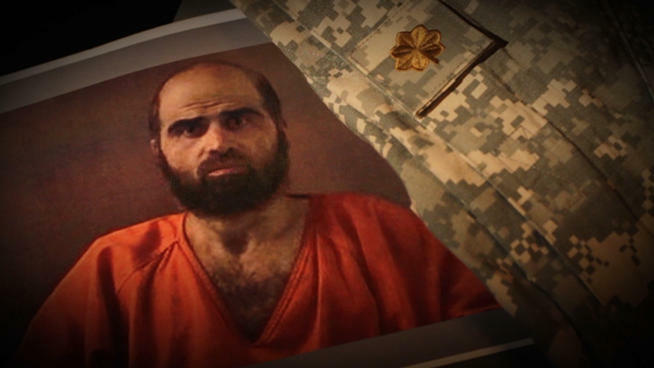 He did everything short of hiring a skywriter to fly over Fort Hood writing, "Nidal Hasan is a Muslim Terrorist". On August 8, 1942, Herbert Hans Haupt was sent to the electric chair. Haupt, a United States citizen, had joined a German raiding party into the United States. The trial of Haupt and his fellow conspirators lasted a month. It was over two months after their capture. Haupt was put to death seven days after the conclusion of his trial. A few years after the war was over, a former soldier spotted a USC student in a Los Angeles Sears. During the war, the student, Tomoya Kawakita, had been noted for special acts of cruelty toward the captured American soldiers in the Oyema POW camp where 1 in 10 prisoners died of malnutrition. Tomoya had earned the nickname "Meatball" for eating the rations meant for the POWs. The soldier, had first met Tomoya when the latter attempted to tear off his tattoos while screaming about "American symbols of freedom." Imagine a general from August 2013 being sent back in time to take over the war in August 1945 and then watch as American soldiers are given handbooks on Japanese culture, forced to attend Shinto ceremonies and sent out without artillery and air support to avoid alienating the local population. The command dedicates much of its time to emphasizing that its war is not with Japan or the Japanese people, but a tiny minority of fanatical extremists. And then watch as the war goes on for two decades. We don't understand Hasan and Nidal Hasan doesn't understand us. Like so many Islamic terrorists, Nidal Hasan believes that we are fighting a war against Islam, because it is what he would do in our place. He would have had no trouble understanding the America of 1945 that meant what it said, but he is lost trying to comprehend the America of 2013 which only wants to be liked, even when it's dropping bombs. Now America faces an enemy whose chief power is hate. The Islamic terrorist has no other real asset except his hate. Unfortunately hate is our weakness. We are an empire terrified of being hated, a world power that shrivels at the thought that someone might not like us. 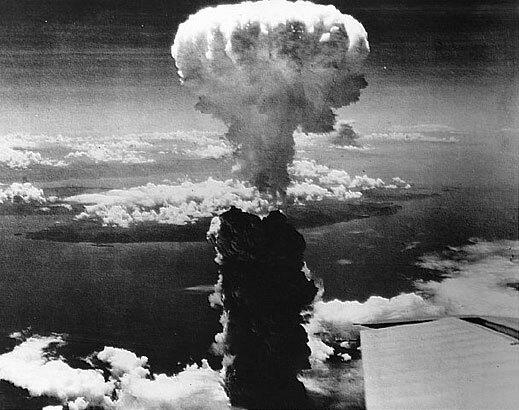 And so the nation that dropped two atomic bombs in August 1945 wilts before the hatred of the Kamikazes of the Koran. My step-father rotated home after a bunch of B-24 missions out of Guadal. My father came back from the D-Day to Give-up day in Europe. The A-Bombs meant they could stay home. 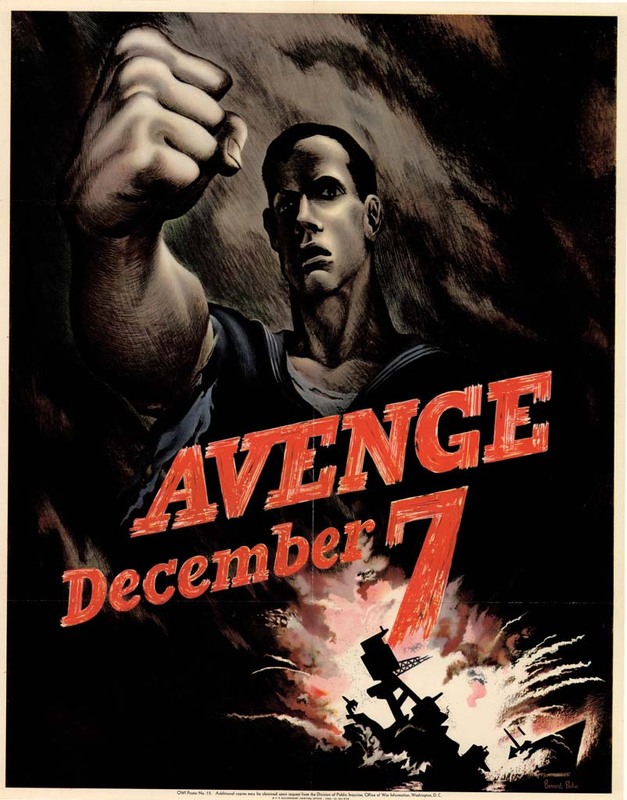 Unconditional Surrender took two evil empires out of the war-making business, which thus functioned as intended. Saved a bunch of do-over. It is not Hiroshima that has us in a tizzy, it is globalism. Following WWII the general belief of many was that Communism was a monolith on its way to global conquest. That produced a number of outcomes, one of which was this belief that we had to get along with everybody. If we operated in the old predatory state model, countries that felt taken advantage would like up with the Commies and eventually we would be overwhelmed. The Marshal Plan for Europe, the aid, had as a backdrop the possibility that both Italy and France would vote in a Communist government. Hard to be sure, but it is quite likely that the first steps in integrating the Old South were done to appease black Africa. Plus we displaced Britain in the near east, not so much as a friend to the region, but as a military power. And finally there was the UN, allegedly a community of nations, but more functionally a device for dispensing US aid and giving hoped for legitimacy to our military adventures. It was really our organization because we were the ones who could afford to fund it. All the other major industrial societies were greatly strained or wrecked. And now we keep right at it even though the world is changing. Hubris really. We are treating ourselves like we are as invulnerable as we were following WWII. The only problem is that we are not. The world has grown up around us, Islam is in an ascendancy, and if we do not start to appreciate our vulnerability we will come to regret it. I think it was detective novelist Agatha Christie who wrote about murder plays, "Don't introduce a gun in the first act and not use it in the third." Or words to that effect. We introduced our guns during WWII, but refuse to use them in the 21st century to their full potential. We're too concerned about our "image" as the kindly policeman of the world, who wouldn't hurt a fly let alone an Islamic "freedom fighter." While the hate-filled jihadist "fights freedom" because he can't stand freedom, we are surrendering our freedom to the jihadist who wants to extinguish freedom wherever he finds it. Daniel may have read John David Lewis's "Nothing Less Than Victory: Decisive Wars and the Lessons of History." Perhaps not. But, to judge by this excellent essay, Lewis and Greenfield are on the same page. 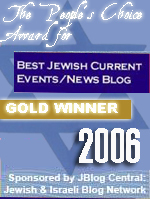 @Spanky Gaza is too small to nuke.......and too crowded with anti Israel biased journalists who would write nasty op-eds on "disproportionate", which I doubt they would write if Iran ever would get the bomb and try it on Israel. Gaza = A people who chose their present leaders who in turn use their electorate to attack another set of people. We do worse than go easy on the enemy in war, thus prolonging it and actually making it more deadly to enemy civilians. We let the enemy onto our shores and into our cities; we encourage them to come here and settle among us making the war deadly to OUR civilians. How can one explain allowing the Boston Bombers to settle in America after 9/11? How is it possible that all muslim immigration was not stopped after 9/11? Now we have thousands of people marching on our streets in favor of Hamas and Hezbollah, two organizations which are psychopathically anti-American. And no one seems to understand the import, thinking this has something to do with Israel and "Palestine". This is absolute insanity. Oh but we are too civilized and too enlightened to admit that the enemies of freedom and humanity will stop at nothing to destroy us. When there is no life, there is no freedom. The U.S. and Western European rulers have given up defending and protecting their survival. Israel has not. That is why Israel is so hated by them. They can clearly see the only solution to a future is to take on Islam full force and not give a damn who likes them. Survival is what matters. I am American and lived in Britain for 30 years. The British are just as nasty about Americans as they are about Jews. Those people are not our friends. They are not our allies. Rhetorical question, I know. Gaza is so complicated, and I really think it depends on whether Israelis consider Gaza some sort of Forbidden Zone like the one in Planet of the Apes or Israeli land that needs to be freed, nourished and restored. IMO smash Hamas, free Gaza, and restore Israeli rule. I can't speak for Israelis and I've asked several online if they consider Gaza part of their homeland or a terrorist basecamp to launch kassams. I've never gotten a real answer. Sigh. Just speculating but I envision a soldier one day standing in the ruins of Gaza, perhaps on the beach near those magnificent waves, mourning the destruction of the land, sort of like the final scene in Planet of the Apes. The classic ending, "I'm back. I'm home. I've been here all along." And if Hamas is allowed to pound Israel with kassams reaching into Yerushalayim a horrendous scene like the final, shocking one in Planet of the Apes. "You finally did it! You blew it up! ...damn you all to hell!" 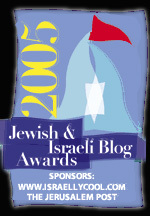 Is Israeli in danger of becoming unrecognizable? (Not comparing Arabs to apes). The powerful ending, and very interesting commentary on it. ISRAEL TODAY FACES THE SAME SITUATION, MAYBE WORSE. ISRAEL HAS NO PROBLEM NAMING THE ENEMY AS TERRORISTS, BUT WILL NOT FINISH THE JOB. THE BOMBING OF JAPAN BROUGHT ABOUT THE UNCONDITIONAL SURRENDER OF THE JAPANESE AND ITS COMPLETE DISARMAMENT. SUCH MUST BE THE CONCLUSION WITH GAZA AND FATAH. What about Daza/ Do to Gaza what the Roman's did to Carthage. I'd only gotten 20 lines in and I knew this is one of your best. Brilliant. Regards, Max. Maybe we want the world to like us. But more than that, I think we want to be able imagine that we are good, pure, and mistakenly imagine that by pulling our punches, we are proving to ourselves that we aren't evil. I think it was Mort Sahl (or Lenny Bruce?) who said that liberals are people who can see both sides of the same side. That's how we tie ourselves up in knots instead of recognizing reality, and getting down to doing what we must. War is not humanitarian. Victory is humanitarian. As Kennedy sowed, so did he reap, eh? Consequences. Worth noting, too, that, similarly, had the Second Amendment been if full effect on September 11 2001, none of the horrors of that day -- nor of the secondary and tertiary and-so-on consequences of that day (and that - along with the Gorelick Wall - constitute the only real Blythe Cli'ton "legacy") -- could or would have happened! A traditional war can be won, a war on terror not. The unlimited amount of people willing to inflict suffering on others just out of sadistic satisfaction apparently is so endless that a war against them can not be won, not even if the entire population from which the terrorists sprout would annihilated as we can witness many volunteers joining terror groups originate from civilized and well to do groups in a variety of societies, the plain and simple excitement of being allowed to commit evil attracts so many that only containment in constant counter surge might be possible but a full victory not anymore since these evil spirits escaped Pandora's box. This was then called a "police action," which is both a polite and political term for a waist of time, blood, and treasure. Have you ever heard of, or watched as someone took two or three years to die? It isn't the humane thing to do. If there is a dirty job that needs to be done and you have a weak stomach, or seem to be upon the horns of a dilemma, not able to make up your mind, then get out of the way.....the determined men behind you will do it! Oh, what I wouldn't give to see a good, determined person of backbone in our White House!! If there is no one among you willing to get it done, then die like the rest of the sheep. In this time of great trouble, where wolves are attacking and destroying the great masses of sheep who refuse to change their thinking in order to take on the fight against the wolves, it falls upon the lions of the world to eat the wolves. Japanese were suicidal savages at the time the bomb was dropped. Were they really different than the Arabs we face now. Pick two cities in the Middle East and level them with a nuke and see what happens. If you aren't willing to do this, no american soldier should ever again set foot on Arab sand again. Anonymous said... Well said -- and spot on. Only relentlessly and ruthlessly-applied great violence brought World-War-II's barbarians to their knees and only the same degree or greater will lower the ambitions of islam's even-more-psychopathologically-hesperophobic barbarian hordes. The total defeat of the Nazis and of Hirohito's psychopaths also permitted America to replicate itself** in Berlin and Tokyo and in those other parts of the world not treasonously surrendered to Stalin and to Mao -- and to every-other up and coming fascist -- by the traitor: Franklin 'Milhous' Roosevelt. We did nation building in Japan and Germany after the war, but it was much different than the silly efforts we make today. After completely defeating the enemy we forced them to adopt democracy. We let Japan draft a constitution, but when they put things in it like the emperor is god, we said no. Then we stayed for fifty years to make sure the behaved properly. Eventually, democracy stuck. Same for Nazi Germany. Contrast that with Iraq. We let them write their own monstrous constitution and didn't bat an eye when they based the whole thing on Sharia. Oh well, that's democracy, we said. Then we left after a few years. Surprise Iraq became a cesspool of Muslim hatred and no democracy. If we had done that in Japan and Germany after WWII, they would have gone back to what they were and would have been an even greater threat the second time around. Nation building can work, but you have to be willing to stick it out for 2 or 3 generations, until you get a generation that grows up with western values. After that you only have to contend with the never ending lunacy of liberalism/progressivism and Islam. Count me with Richard Brian Allen and Eugene (both just above). The only wars I want this country to engage in are ones where we're using completely disproportionate violence to destroy the enemy's military, society, and economy. All weapons on the table, enemy civilians be damned. War on moslem terror cannot be won? Hogwash! Any war can be won --- we know who the vile villains are, but our commie and moslem "friends" have long convinced us that we cannot and MUST not ever try to win a military victory. It would be useful in the worldwide communist and islamic conflicts (and the illegal invasions arranged by our Dems) if our islamo-marxist regime was not "in cahoots" with our enemies! We have for decades accepted the "rules of engagement" set down by our enemies! To make matters worse, the political OPPOSITION remains silent and servile in the extreme! Would disagree only slightly with you, Eugene, in that we did not "nation build" in either Japan or in that part of Germany the traitor Roosevelt and his Soviet-agent controlled "administration" hadn't ceded to his "uncle Joe," so much as we militarily occupied both countries. In Iraq the until-then magnificent George Walker Bush's squishes and Tiny Blair and the other Europeons were given were given too much "say" and control was given over to the basta*d-offspring of the Soviet agents Alger Hiss et al-descended Foggy Bottom brahmanas and to that traitorous gang's Foreign(er) Service(ing) folk - all of whom have more friends at Peking and in Moscow than in a Republican -held 1600 Pennsylvania Avenue -- and who - highly experienced at such bastardy - very quickly indeed set up to lose -- and lost -- yet another brilliantly American-won war. As they and their predecessors and their Fascist Media mates have done after every won war - including WW-II - since 1945! Kate Powell - The British are just as nasty about Americans as they are about Jews. Those people are not our friends. They are not our allies. I'm a Jew living in Britain (before the 2000 "intifada" and 9/11, I would have called myself a British Jew. The Brits who hate America are mainly white, middle-class "liberals" (jews and non-Jews)- the sort of Americans, in fact, who hate America. I don't know how I missed this post. I have often said that I blame George W. Bush for the ongoing chaos in the Middle East. If instead of pursuing a ground invasion of Afghanistan, Bush had sent in SOG teams to pinpoint the al Qaida training camps and the Taliban military concentration and then obliterated them with low yield tactical nukes and announced to the world as the bombs fell, that we had had enough of Islamic terrorism and that 1 any further attacks would be met with similar reprisal and 2 any nation found to be providing aid, comfort or logistical support to Islamic terror groups would also be subject to attack without warning thing would be markedly different today. The overall cost in lives and treasure would be much less. As it is " Proportional Response" will become the epitaph of western civilization.